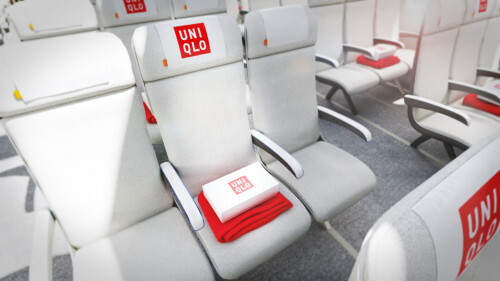 Can the air travel experience be calmer, cooler and more comfortable? The big thinkers at TEAGUE, the Seattle-based design consultancy surely think so. The company helped design Microsoft’s first Xbox and has been Boeing’s key design partner forever. 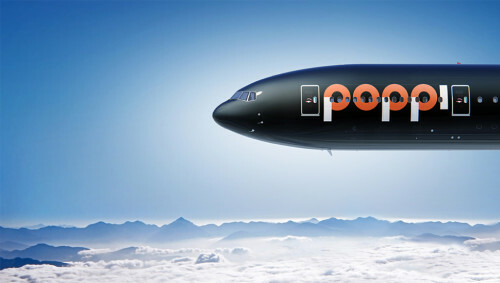 And to float some ideas about what might make air travel better, they created a new – imaginary – airline called Poppi. TEAGUE’s most “disrupting” idea might be the banishing of carry-on bags and large overhead bins in favor of slimmer models they call “Fedora bins” that would hold hats, jackets and laptop cases. Liddell and his team are certain that technology is now good enough to make sure everyone’s bag gets where it needs to go. And that keeping all those bags out of the cabin would make everything from the security lines to the boarding process a breeze. “That would sidestep the nightmare that takes place on the cabin when people try to cram their bags into the overhead bins and would make exiting the plane go much faster,” said Liddell. 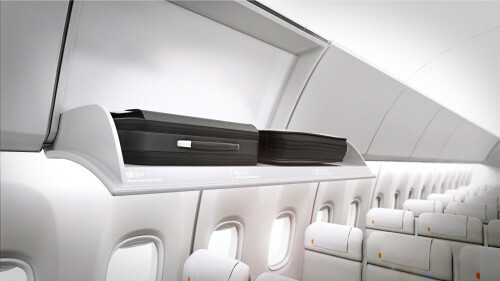 For those unable to part with their bags, Poppi would have a “Click Class” option that would allow passengers to use special luggage that stores in the seat. 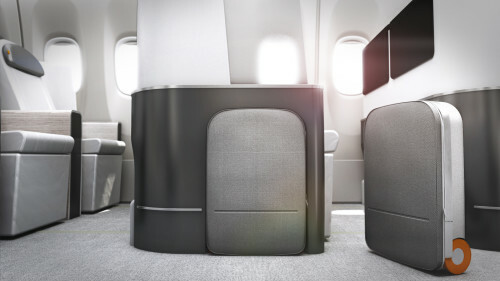 TEAGUE has lots more ideas about ways to transform all aspects of air travel, but the one they’re likely to get the most applause for is their suggestion that people seated in the dreaded middle seat be rewarded with gifts or special perks. Read more about Poppi’s ‘promises’ here.